2 years ago one of our members, Antonia Slavova - the founder of the business with natural cosmetics together with a group of young people from the home for children without parental care “Olga Skobeleva”- Plovdiv started making workshops for natural hand-made soaps. Part of the earned money were donated to the institution. Step by step the initiative turned into a project for social enterprise for bio-cosmetics, intended to give opportunity to the young people, leaving institutions to develop work skills through the approach “learning by doing” at their first employment place. We started dreaming, but also acting. Due to the financial support of FICE Switzerland, Old Beech Foundation and mentoring of FICE Bulgaria, as well as due to the personal involvement of Dashenka Kraleva, Rolan Stübi and Anton Tobe our dream is coming true. Now we have a certified office for production of bio-cosmetics and certificate for 15 cosmetic products, which we can sell to domestic market, as well as to EU markets. 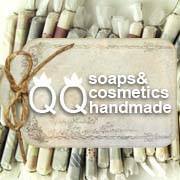 Soaps, facial, body and hair cosmetics – all natural. We strongly believe that this small at the moment, but promising social enterprise will enable many young people find their right place and establish a social business community supporting youth growth and initiatives. Our long term plans are to open many new jobs at which young people can develop themselves being supported by friends and specialists. Come and share with us that special moment! "The project program to overcome the psycho- emotional deficits among institutionalized children aged between 7 and 12 years are financed under the program to support NGOs in Bulgaria Financial Mechanism of the European Economic Area 2009- 2014. " To close or transform their homes for children without parental care should be supported in seeking and finding different paradigm for education of abandoned children in them . According to the participants in our projects most important thing for children is to caress them , to tell them how good they are , smart and beautiful , that made ​​them the most beautiful ... and that they have new friends who quite frankly , childish to say: " How much I love you ." The project aims to provide useful knowledge and skills for the intellectual , emotional and physical development of children in a different , pleasant atmosphere for them in which to get a lot of personal attention from the adults involved in the project . The project offers a systematic home visits by different people put a bridge between children and their isolated environment and the "outside " world. Experts and volunteers will develop and implement 20 interactive sports and using different modern , attractive and practical methods of work. Program to address the psycho-emotional deficits among institutionalized children aged between 7 and 12 years are financed under the program to support NGOs in Bulgaria Financial Mechanism of the European Economic Area 2009-2014.